This monumental study demonstrates the power of culture to define the meaning of labor. 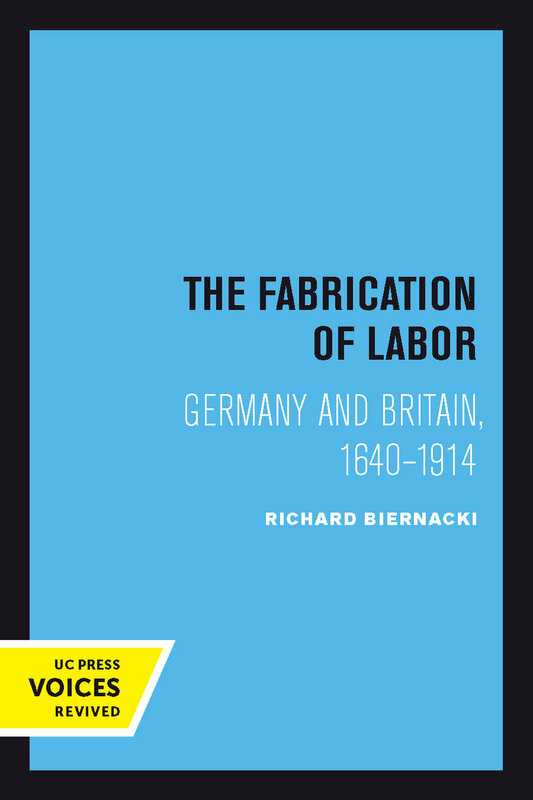 Drawing on massive archival evidence from Britain and Germany, as well as historical evidence from France and Italy, The Fabrication of Labor shows how the very nature of labor as a commodity differed fundamentally in different national contexts. A detailed comparative study of German and British wool textile mills reveals a basic difference in the way labor was understood, even though these industries developed in the same period, used similar machines, and competed in similar markets. These divergent definitions of the essential character of labor as a commodity influenced the entire industrial phenomenon, affecting experiences of industrial work, methods of remuneration, disciplinary techniques, forms of collective action, and even industrial architecture. Starting from a rigorous analysis of detailed archival materials, this study broadens out to analyze the contrasting developmental pathways to wage labor in Western Europe and offers a startling reinterpretation of theories of political economy put forward by Adam Smith and Karl Marx. In his brilliant cross-national study, Richard Biernacki profoundly reorients the analysis of how culture constitutes the very categories of economic life. Richard Biernacki is Professor of Sociology at the University of California, San Diego.